Search engine optimization refers to the utilization of keywords to drive more traffic to your blog or website. If your business relies on online traffic, SEO is becoming a necessary marketing tool. 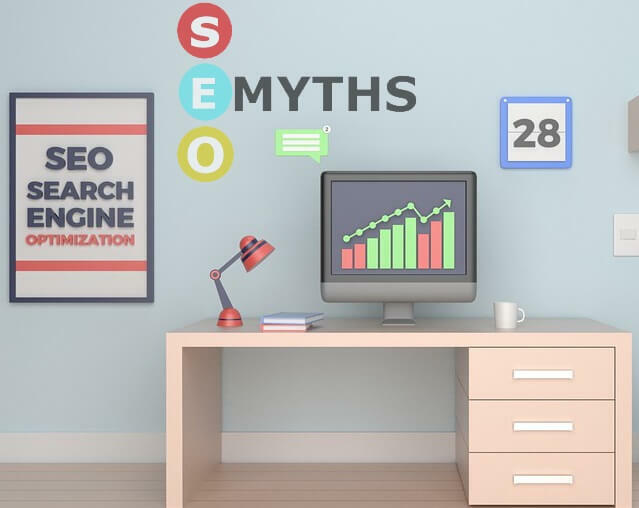 There are several myths that surround SEO, and to make your campaign effective, you need to identify them accordingly. The following are five common myths that surround SEO. Don’t insert a lot of keywords on your websites. Avoid unnecessary posts that do not attract readers. In your post, use the keyword only to a maximum tune of four to five times only. Only utilize links emanating from quality websites. In the heading of the blog post. Keeping keywords in the above-mentioned areas is important for your post to get higher chances of better ranking. #3. Only big blogs drive traffic. Benchmark on competitive blogs on Google. #4. Guest blogging no longer exists. Many people mistakenly assume that guest blogging no longer exists. Back in 2014, several people declined guest bogging when Matt Cutt insisted that guest blogging is dead. Guest blogging is a valuable system, and when done right, it can benefit Google, the website owners, and all users in general. What you need to do as is to write a relevant and helpful blog post that will attract users. Focus on adding value to the web. #5. Google keeps track of new blog posts. The above myth is definitely true for renowned and bigger websites. If your blog is just new and has not been in existence for a given period of time, Google may ignore you. Utilizing Google console informs Google of every page and post you might have created. In order to drive traffic to your site, you should consider not only the things you should do but also the things you should not. These myths are some of the things that you can completely ignore. Just focus on the core strategies that are sure to get you to the top.